FREE $200 US Shipboard Credit Per Cabin! Our popular land tour exploring “Downunder”. You will visit Melbourne, Ayers Rock, Alice Springs, the Great Barrier Reef, and Sydney. 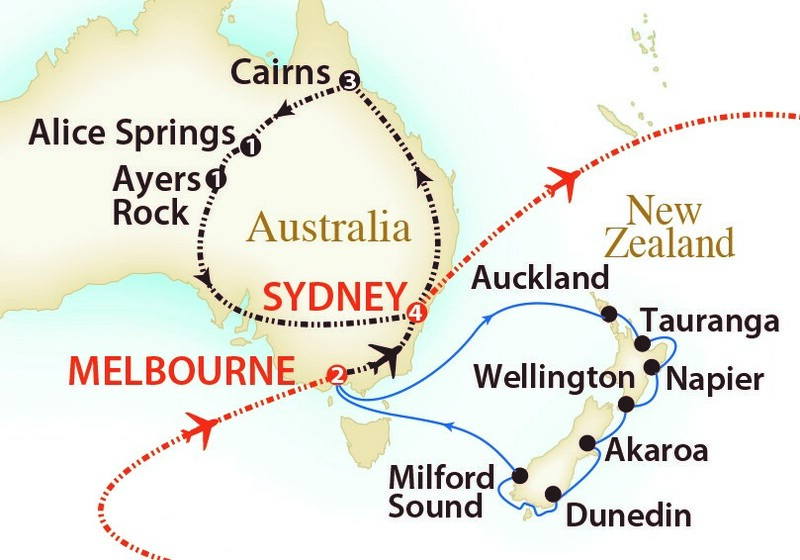 It is followed by a 14-day cruise visiting many beautiful ports of call in New Zealand. 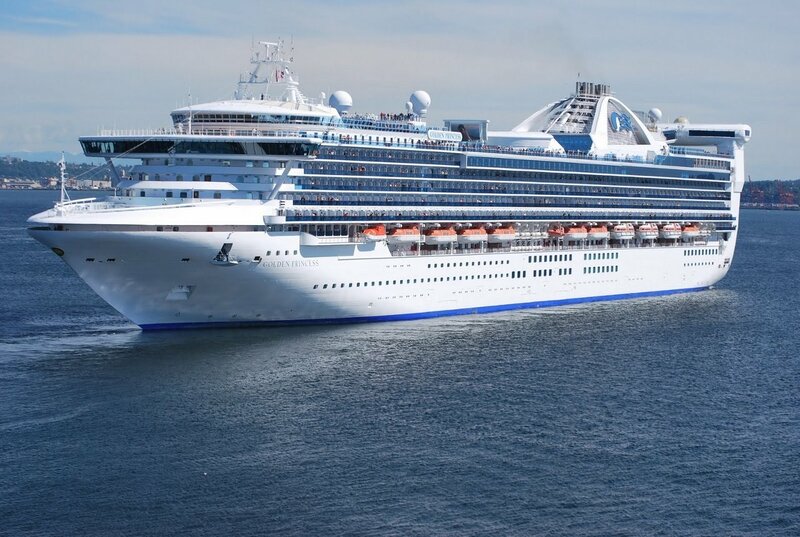 Golden Princess is a Grand-class cruise ship with Princess Cruises that entered service in 2001. She is the sister ship of Grand Princess and Star Princess. She measures 109,000 gross tons and carries 2,600 passengers (double occupancy) plus 1,100 crew members. From 2009 to September 2015, she primarily operated on the Hawaii, and the West Coast of the United States. Golden was constructed in Italy by Fincantieri and is Bermudan flagged. Golden Princess was one of the first major cruise ships to sail to Antarctic waters in 2006. She was dry docked in Victoria from mid-April to early-May 2009, in order to refurbish the entire ship. She was also drydocked in 2012 and again in 2015, where major refurbishments and addition of several new amenities took place. Deposit of $1,750 per person is required. Final payment is due by October 24th, 2019. Please Note: A fee of $250 per person will apply to any cancellation prior to your final payment. *Category “OW” has partially obstructed view. Above rates include return airfare from Toronto and Ottawa. For departures from other cities, please call our office. Air credit for independent flights to Sydney, Australia is $1,995 per person. Return airfare from TORONTO and OTTAWA. Please call for departures from other cities across Canada. 14-Day cruise aboard GOLDEN PRINCESS. 11 Buffet breakfasts at each hotel. Australian entry visa processing fee. 6 Lunches and 6 Dinners on our land tour. Shipboard gratuities on your cruise. Locally guided tours as per our itinerary. All land gratuities for local guides/drivers. Fully escorted by Expo Cruises & Tours host*.